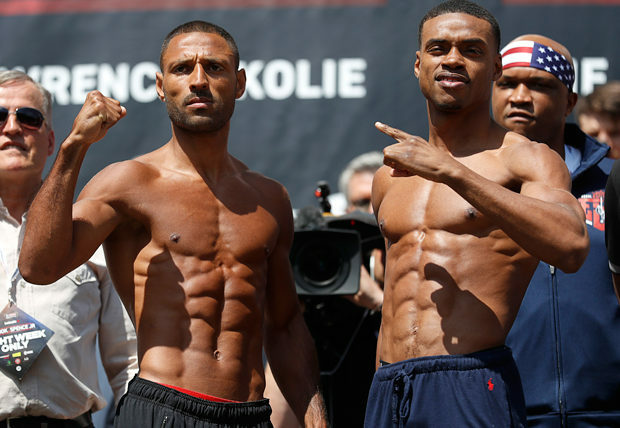 The welterweight division is one of the most intriguing in the sport at the present time and Kell Brook vs Errol Spence Jr. is one of the best matches that could be made. To everyone’s surprise, the different parties involved got it done and boxing fans have been looking forward to this clash of top-shelf talents with great anticipation ever since. 2017 has already been an excellent year for “The Sweet Science” and Brook vs Spence promised to only add to the fun, not to mention the bout was happening in England where scant weeks before fight fans had witnessed one of the most exciting heavyweight battles of recent decades. 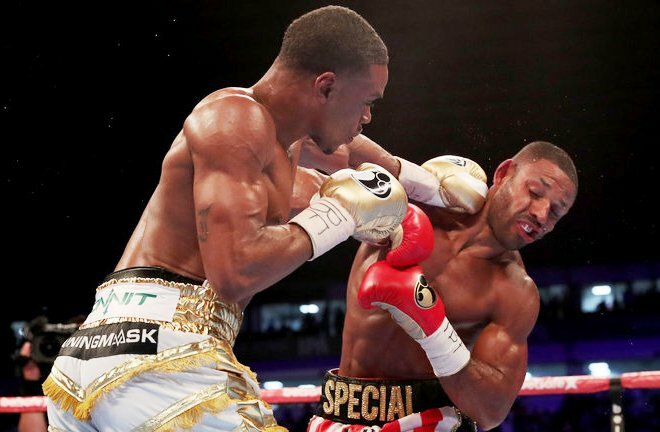 Kell Brook and Errol Spence Jr. channelled some ghosts of great welterweight matches of the past as they gave boxing fans a battle to remember. 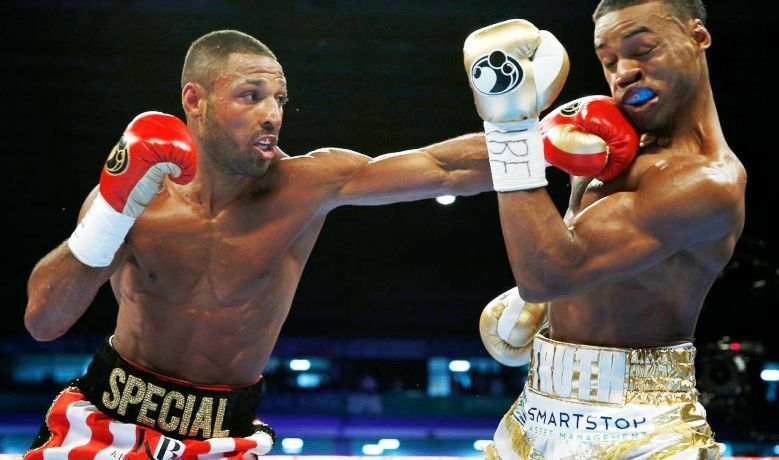 The opening round began with both fighters looking to establish their jabs, with Spence leading with a fast southpaw right and Brook attempting to counter immediately with his own left. 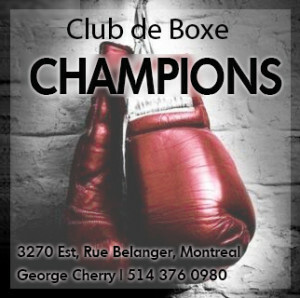 The champion made a positive start and looked to mix in a few right hands, but there were also early warning signs as the challenger began to whip in fast left hooks to the body behind his own jab, which probably shaded a close first round in the visitor’s favour. They jockeyed for position in the second, as each man sought to impose a dominant position with their outside foot. 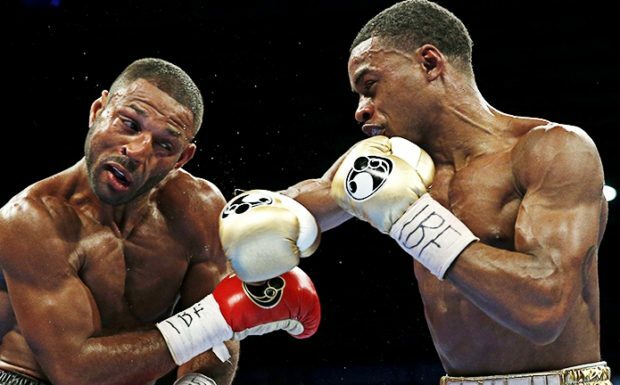 Spence moved forward on the front foot and displayed the faster jab once again, but Brook came back with some sharp right hand counters, digging in some effective shots to the body and even throwing out a few uppercuts and hooks in a decent second round for the champion. The American came out more aggressively in the third, letting some snappy hooks and straight lefts flow behind his jab. 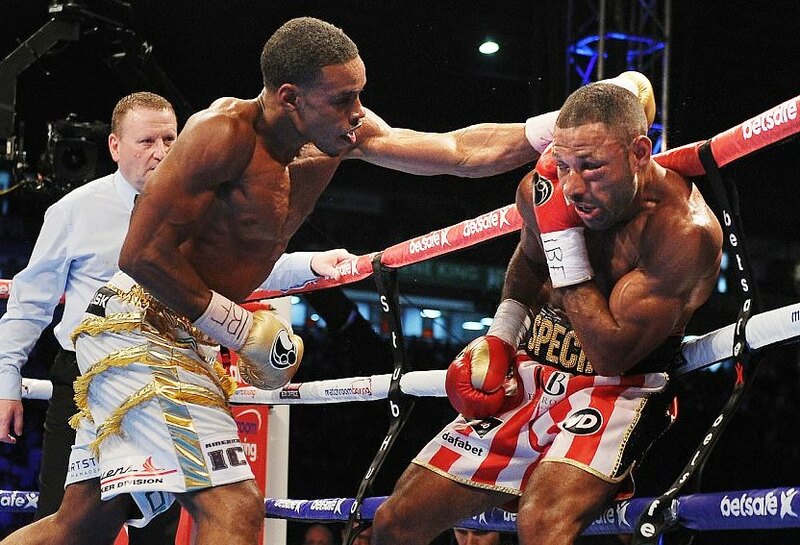 As Brook backed to the ropes he was caught by a clean, eye-catching right hook, the best punch of the fight so far. The champion battled back at the end of the round but it was clear the challenger’s speed was giving him problems. After a fairly tactical first three rounds, the action intensified in the fourth as neither man wanted to cede ground. Spence still pressured but the Englishman’s underrated boxing brain and physical strength began to tell as he landed some hard shots on the inside, with blood from the visitor’s mouth providing the first visible signs that he was in a real fight. The fifth was another competitive round, though the champion was matching Spence’s greater speed with some sharp right hand counters and heavier looking single shots to the body. It seemed that the American’s demeanor shifted ever so slightly and the confident glow he had exuded all week subsided. Perhaps sensing the champion’s ascendancy he rallied with some fast combinations to end the round, but it wasn’t enough to swing it in his favour on my card. Both men unloaded hard shots in the sixth; Brook having some success upstairs with his right hand and Spence persistently working hooks to the body with both hands and pecking away with his quick jab. A couple of eye-catching uppercuts landed for the home fighter as he put in a strong finish to the round, and on my card took a 4-2 lead going into the second half of the fight. 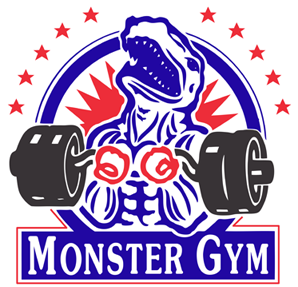 However, it would be the last round that did not clearly belong to the challenger. The American began to re-assert himself in the seventh, controlling the distance and boxing more effectively from range while landing accurate, spiteful hooks in close in probably his best round of the fight up to then. 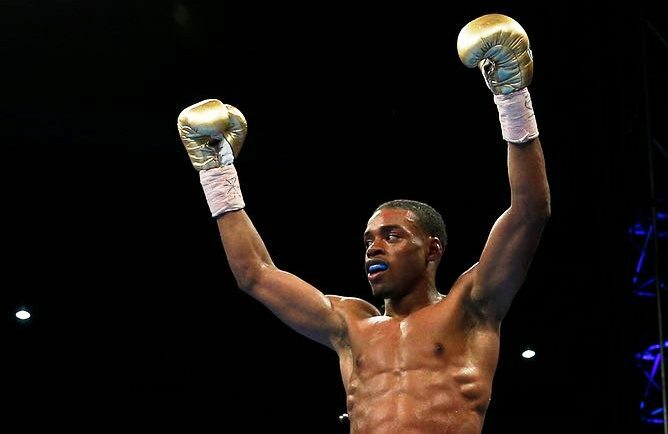 In the eighth the champion began to noticeably tire and it appeared that Spence’s dogged and consistent work to the body was beginning to take its toll. Crisp left crosses and combinations from the challenger began to find the target with increasing regularity; Brook’s work became more ragged and as his left eye started to swell the first discernable signs of distress became evident. “He’s had his best bursts, he’s had his best bursts,” insisted a concerned Dominic Ingle in the Brook corner between rounds, imploring his man to take back control of the fight. The champion tried to do just that at the start of the ninth, but it became clear that the momentum had shifted decisively in the Texan’s favour. Looking more relaxed than he had since the start of the contest, the challenger’s class really began to shine as he unloaded with a variety of fast, accurate punches to head and body. 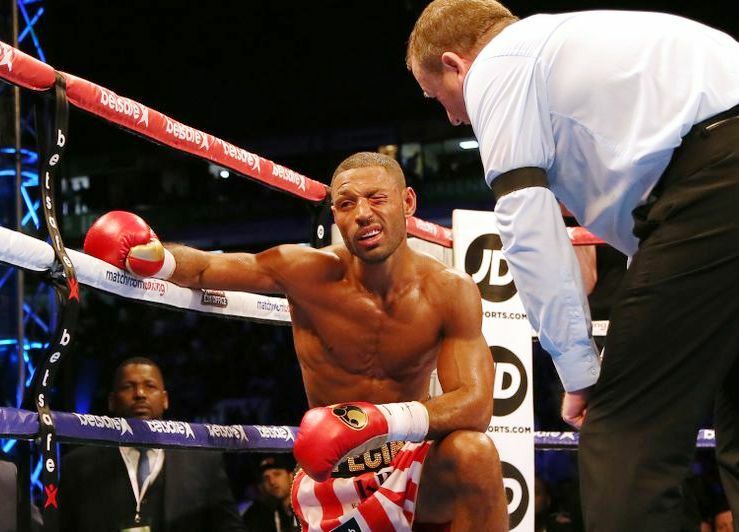 Brook raised his hand in defiance at the end of the round but he was showing clear signs of wear and tear. The beginning of the end came in an amazing tenth round, as Spence continued to fire away and the champion was forced to take a knee. The knockdown seemed more an attempt by Brook to escape the accumulation of hurtful shots raining down on him than as a result of a single, solid hit, but as he stood and received the mandatory eight count his left eye bulged from the swelling and it looked like he was nearly finished. Incredibly, the champion battled back from the verge of defeat, showing true grit and even pushing Spence onto the back foot towards the end of an electrifying round. They traded hard shots again at the start of the eleventh, but Spence was beating the challenger to the punch with his faster and more accurate shots. A minute into the round Brook showed real signs of distress and began to noticeably blink his damaged left eye. Suddenly, with the referee separating the two boxers, the fight unraveled from the defending champ and he went down to one knee clutching the damaged eye. He stood at the count of nine but it was clear there was no more fight left in him, and referee Howard Foster waved the finish as Brook walked back to his corner. Praising the awkwardness and strength of his defeated foe, and sounding somewhat dissatisfied with his own performance, the newly crowned champion awarded himself a “B minus” in the post-fight interview. “I proved today that I have a chin and I have true grit,” declared the American. Ultimately, both men showed they were world-class and displayed the kind of heart and skill we expected from such a great match-up. 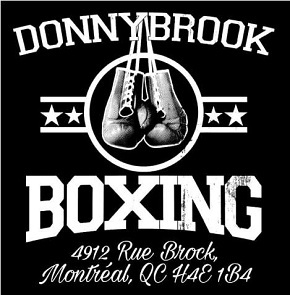 Anthony JoshuaBrook vs SpenceEnglandErrol Spence JrFloyd MayweatherGennady GolovkinKeith ThurmanKell BrookManny PacquiaoSheffieldSpence vs BrookU.K. How unlucky for Brook but I’m a fan of Spence jr now and he was gracious afterwards. I didn’t agree with Tony Bellew’s comments after the fight. Give Spense his props but be fair.